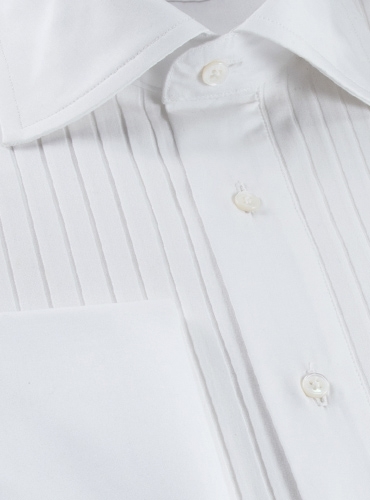 Our newest rendition of traditional evening shirts, with a ribbon button back, unbuttoned to substitute studs in lieu of the buttons, is cut from the same comfortable and elegant Swiss cotton as our other evening shirts, but has a different front. 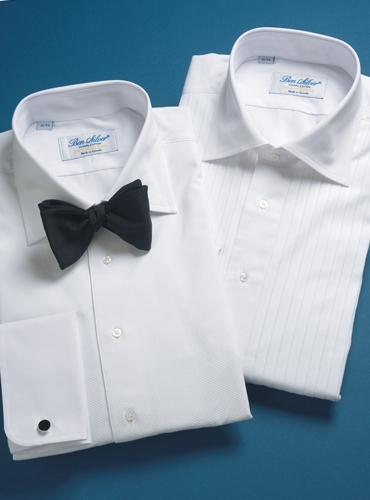 Shown with a narrow pleated front. 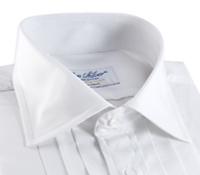 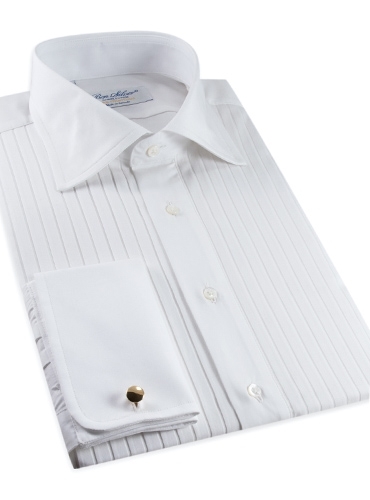 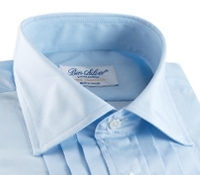 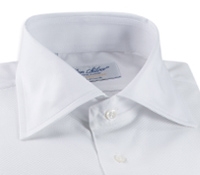 Also available with a traditional piquet cotton front, 509.